Turbo-compressors are flexible and efficient, and have a wide range of application. Evaluating and purchasing such a machine should involve a comprehensive optimization process. Otherwise, the turbo-compressor may not meet desired targets for performance, reliability, maintainability, availability, commercial terms or power requirements. So, this article will look at factors to consider in an optimization. An important decision for every turbo-machine is whether it should be located indoors or outdoors. At first glance, an indoor installation seems safer, more reliable and better. However, design and operating experiences suggest examining an outdoor installation first. It can make operation and maintenance much easier, and cost far less. An indoor installation can pose conflicting requirements for enclosure design, noise control, the heating/ventilating/air conditioning (HVAC) system, foundation and support design, and piping arrangement, as well as access for various maintenance activities and cranes. This could result in an extremely costly system and enclosure. In many chemical-processing projects, the turbo-compressor is ordered based on indoor installation, assuming future design of an enclosure for noise control and protection (with overhead crane, HVAC, proper area classification, etc.). To keep costs down, the enclosure volume should be minimized — however, this compromises access and other requirements. The heat-generation calculation and proper ventilation usually are complex issues. Most importantly the access requirements for installation and major overhaul could be problematic. An indoor installation also introduces various health, safety and environmental issues. That’s why I generally recommend an outdoor installation, initially without a shelter. Base required noise protection on an initial noise study, include an acceptable value (with a proper margin) in the vendor scope, and allow the vendor to suggest some machine-localized noise protection. My experience indicates an 83–85-dB noise limit could be a good range for the start. Use suitable mobile cranes for all maintenance (routine, overhaul, etc.). Later on, installation of a shelter (preferably a removable one) will improve the package’s reliability. Of course, an outdoor installation isn’t always best but certainly consider it first. 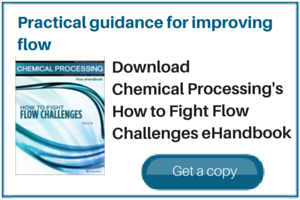 Factors to check include inter-stage pressures, auxiliaries, coupling selection, piping and auxiliary vessels, and provisions for condition monitoring. • approximately 0.70–1.5 bar for the inter-cooler and after-cooler. Auxiliaries. The oil system should include (at least) two oil pumps, both sized for 20% extra oil flow, dual removable-bundle shell-and-tube oil coolers (alternatively, plate exchangers or air-coolers), double (duplex) oil filters with removable elements and stainless steel piping. For cooling water systems (particularly the electric-motor cooling water system, the converter cooling system, etc. ), first calculate the generated heat and then adjust the temperature rise. To optimize the selection of centrifugal cooling-water pumps, pay special attention to the operating curve slope, ensuring you can get a continuous rise to the shutoff and a proper shutoff pressure. Some extra flow margin is necessary for reliability and to allow the machine to cope with situations other than normal operation, overload and future expansion (if applicable). Figure 1. A turbo-compressor usually requires extensive auxiliaries. Source: Siemens. Figure 1 shows extensive auxiliaries for a modern turbo-compressor at a chemical processing plant. • a flexible coupling (which can provide more elasticity and dampening but at the cost of more maintenance). • lack of proper monitoring. Figure 2 shows some examples of couplings. Piping and auxiliary vessels. Adequately dealing with thermal expansion of piping often requires adding flexibility to the piping system, which conflicts with the need for more support and greater stiffness to reduce vibration. So, the same party should perform the turbo-compressor piping analyses, to best assess tradeoffs to achieve an optimized system. The piping configuration and spacing should ensure that expanding lines don’t touch adjacent ones or other components. • providing extra supports near concentrated masses. Figure 2. Couplings come in a wide variety of types. Auxiliary vessels (pressure vessels, separators, filters, etc.) located in the vicinity of a turbo-compressor can be subjected to vibrations and shaking forces. For auxiliary fixed equipment, provide a proper support (such as a skirt support); avoid leg-type or other relatively flexible supports. • For all connections except small ones, use a WN (welding neck) joint. For small connections (say, below 2 in. ), specify an integrally forged LWN (long welding neck) joint. • Insist upon full-penetration welding of all pressure and integral parts. • Specify nozzles self-reinforced with lip for critical applications to make “100% radiography” possible and reduce the stress concentration. If necessary, carry out a low-cycle fatigue analysis following the procedure described in the ASME Pressure Vessel Code, Section VIII, Division 2, Appendix 5. • internal piping and connections. • flow, pressure, temperature, etc. of lubrication oil. Figure 3 shows an example of a monitoring sensor for a turbo-machine. Figure 3. Adequately monitoring the condition of a turbo-machine can provide significant benefits. It’s necessary to receive at least three proposals. More than that, though, a minimum of two of these must offer technically acceptable machines. So, if needed, extend the proposal deadline or clarification time and insist upon further clarification meetings until you are satisfied you have two suitable proposals. A small-or medium-size turbo-compressor should be delivered fully fabricated as a single skid-mounted package. For a large turbo-compressor, it’s better to get the machine prefabricated in several skid-mounted packages. Each turbo-compressor casing (with gear unit, if any) should be mounted on a heavy-duty skid. The driver usually is delivered separately. I also recommend, as a first option, to ask the vendor to offer all site supervision work at a fixed price.